Author Written by Khoa Nguyễn and last updated on Posted on August 26, 2017 . 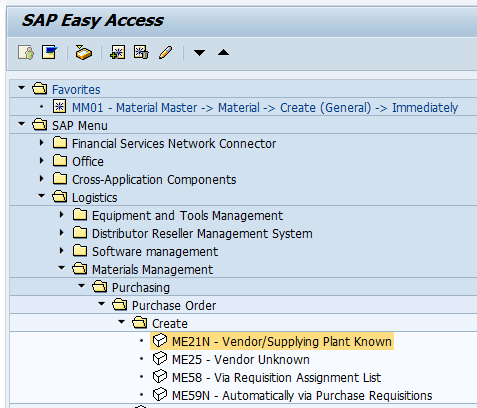 This tutorial which is part of our SAP MM course talks about SAP Purchase Order (with Reference to RFQ). 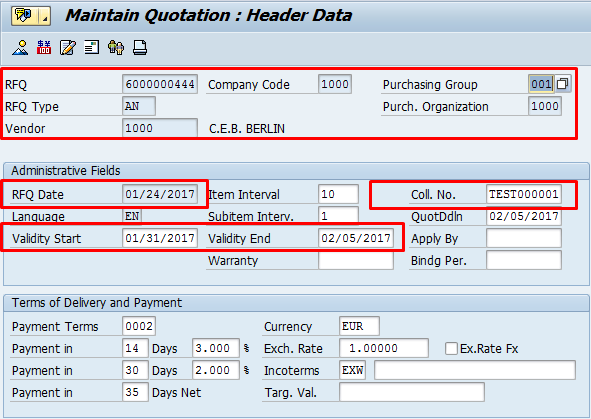 You will learn about business processes related to creation of a purchase order based on a request for quotation (RFQ) in SAP MM. 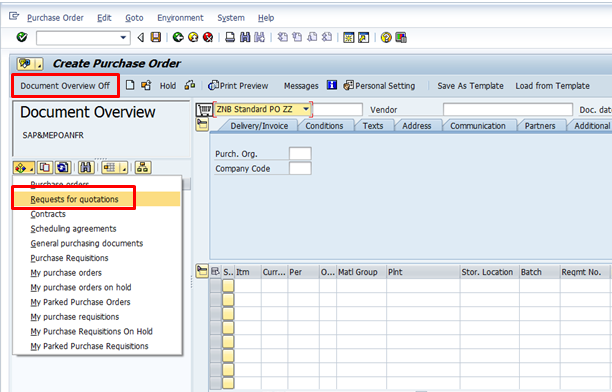 We will provide step-by-step explanation about creation of a new purchase order in SAP ERP. SAP purchase order (PO) is a request for a supplier to supply certain goods or services under stated conditions. POs are external documents, sent outside of your company to suppliers. They can be created with or without reference to purchase requisitions (PR), requests for quotation (RFQ) or contracts. 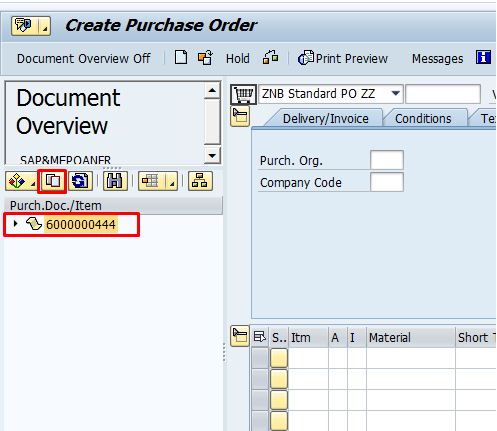 This tutorial will give you a complete guide on how to create SAP purchase order with reference to RFQ. Request for Quotation (RFQ) is an external document used by a purchasing department to identify a supplier. It can be created automatically with reference to a purchase requisition or manually and sent to suppliers. Once received, supplier’s responses are updated on the respective RFQ. Finally, the purchasing department can send the POs to the selected vendors. If vendor’s prices or condition aren’t acceptable to the purchasing department, it can also send rejection letters to vendors. 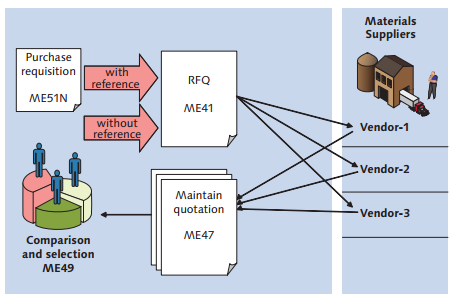 You’ve already known how to create RFQ and maintain comparison of quotations in the previous tutorial chapters. Now, to have a quick look on our topic, there is an RFQ created already which is used in this guide. Click on Document Overview On button then choose the option Request for quotations. Purchasing Document (RFQ Number): in case you don’t remember the number, leave it blank. You may get a bunch of RFQ that created in equivalent to other search fields. Click on the Execute button to start searching. As soon as the result is displayed, you should choose the RFQ Number then click on the Adopt button . 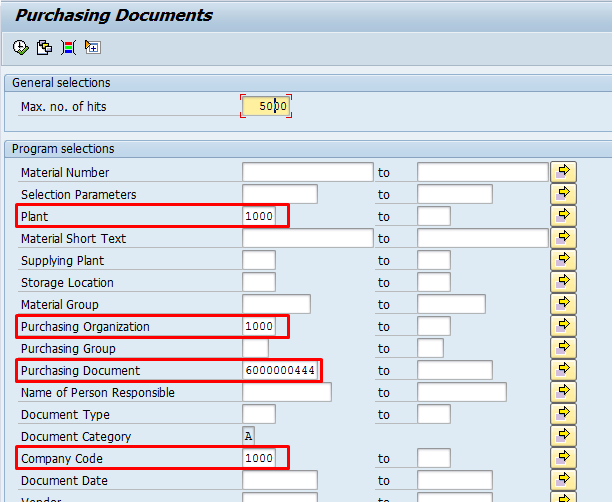 The SAP system will copy all the data from the RFQ to the new SAP Purchase Order. After data from RFQ is adopted into the SAP Purchase Order, you will see that all the data from RFQ is copied into the new PO. At the PO header data, you can verify some important fields as Vendor, Purchasing Organization, Purchasing Group, Company Code. Similarly, at the items level, you can see that Material Number, PO Quantity, Delivery Date, Net Price, Plant and Storage Location which were defined in the RFQ have also been copied. After verifying all the data, click on the Check button . The system will double check everything to make sure your SAP Purchase Order is ready to be saved. In this case, a green message is displayed at the bottom of the screen which means all the data is OK. If there are any problems, the SAP system will show some red message to indicate errors that are still not solved. 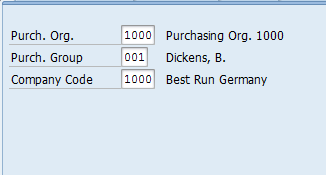 Finally, click on the Save button to finish and save your SAP purchase order. The system will give you the PO number as the message confirming creation of PO displayed. 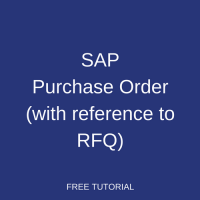 Now, you have finished this step-by-step guide on how to create SAP Purchase Order (PO) with reference to Request for Quotation (RFQ). I’m not getting the rest of the course. It has been nearly 10 days. Please send me the next chapters.Thanks in advance. Hi eve I was not receiving any lessons from 29th onwards. Please send me. Thanks. It’s been more than three weeks, I am not getting new lessons in SAPMM. Please continue emailing new lessons.